Europe is likely to be a recurring theme in Irish politics during 2019. The fate of the Brexit process across the Irish Sea has been Issue No 1 for some time, and despite all that happened last week, including the thumping defeat for Theresa May's deal in the Commons, the only certainty is the promise of further drama to follow. The future shape and evolution of the EU itself is also likely to come up for discussion, in particular with elections to the European Parliament in May. That latter point is a reminder to politicians that, notwithstanding the renewal of the confidence and supply agreement, most likely putting a general election off the agenda, 2019 will nevertheless be a year of elections. We have often said in recent months that we are approaching crunch point in the Brexit process but we truly are in the middle of it now. Teresa May’s failure to have the draft withdrawal agreement ratified by the House of Commons this week, and the chaos in the build-up and immediate aftermath of the vote, means we are still no nearer a resolution. With just over 10 weeks to go until March 29 however, some form of resolution must emerge. For Teresa May there were two routes towards getting a majority for her deal and Insider has been surprised by the manner in which she put all her eggs in one basket, focusing on maximising support among the Tory/DUP majority instead of making a greater effort to reach out to Labour. The difficulty with this approach is that it constituted a very thin majority, and secondly, between the DUP and some hardline Brexiteers on the Tory backbenches, she was always likely to lose more than the handful of MPs she could afford. Had she instead focused on obtaining the support of a broad platform of MPs from the two main parties which are taking a pragmatic approach – a combination of what Insider refers to as ‘bucketlist Brexiteers’ who are keen to see specific changes in Britain’s relationship with the EU as opposed to totally cutting itself off from it, and former Remainers who see the need to respect the referendum result – and who wish to see an orderly Brexit, then she may have found an easier route to victory. Ultimately, Insider has felt the difficulty for the hardest Brexiteers was that to implement what they would term a ‘true Brexit’ would require radical policy change in the UK, including a significant scaling back of the Welfare State, something Insider felt would be too hard a sell. Events, including the result of the 2017 General Election support this view. Accordingly, some form of compromise Brexit looks the most saleable, although it is far from certain that it is achievable and nothing can be ruled out. We now await further developments as the endgame approaches. With all of the focus on Brexit, the broader issue of the future of Europe, and possible further integration, has been overlooked. As Insider has previously said, this is an area that will feature in a big way in Irish politics over the next few years and will raise big questions - some of them uncomfortable. For example, while the euro recently celebrated its 20th birthday, it is widely acknowledged by economists across the continent that the project is still short of completion, requiring a greater degree of fiscal harmonisation. The issue of tax harmonisation, and ending individual countries’ veto in this area, is persistently on the agenda these days, something Ireland in particular clearly wishes would go away. The absence of the UK from the table may be keenly felt when issues such as these raise their head post-Brexit. Military co-operation is also taking on a new impetus and this would raise particularly difficult questions for this State and its traditional neutrality. 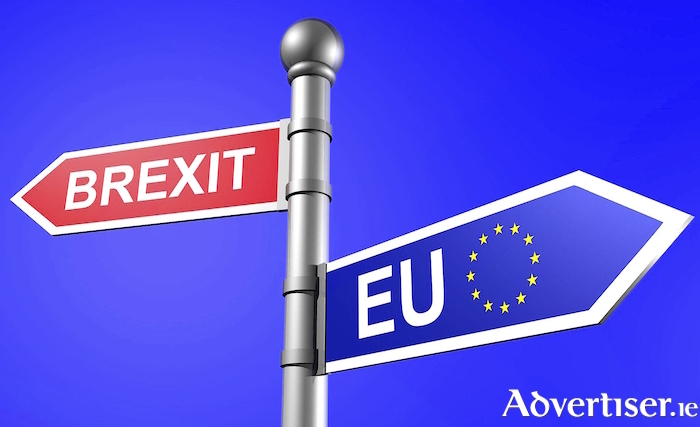 The next major EU Treaty may not be all that far away and that will bring what could be a very interesting referendum campaign in this country. By rights, these sorts of issues should form part of the discussion during the European Election campaign next May. Traditionally however, European elections in Ireland have tended to be personality contests with less focus on policy. People simply tend not to buy the significance of the European Parliament. In light of all that has happened over the past three years, might voters on this occasion focus on European issues when they go out to vote? Across the continent as a whole, people will be watching for a further surge for populist, Eurosceptic, parties. Since the last elections in 2014 we have seen such parties perform well in a number of countries, including Germany, France, and Italy as well as in Eastern Europe. A key challenge for these groups however is to come together as a cohesive block post-election and this is where many analysts feel they will struggle, thereby potentially reducing their impact, even if their numbers increase. In Ireland, we may get two new MEPS, albeit this is contingent on Brexit being concluded by the time the new Parliament meets in July. So we may have the unusual sight of two MEPs being ‘provisionally’ elected! If so, these would be in Dublin and Ireland South, each of which is due to gain a seat. In Midlands North-West there are once again four seats up for grabs. There has been no MEP in Galway since Seán Ó Neachtain’s retirement in 2009 and it is not immediately clear that this will change in 2019, although the former Rose of Tralee, Maria Walsh [pictured below], from south Mayo in the Galway West constituency is expected to run for FG. FF had a strange European election campaign in 2014; the party received more votes than any other party, yet returned with just one seat - Brian Crowley (Ireland South ). He subsequently lost the party whip after refusing to sit with the Alliance of Liberals and Democrats for Europe group in the Parliament. With Crowley having missed the entire term due to health issues, FF has effectively been absent from Brussels since 2014. Poor vote management cost the party a seat in Midlands North-West and it will expect to rectify the matter this time out with Donegal’s Neil Blaney expected to join the former ICMSA president John Comer from Castlebar on the ticket. Insider expects the Blaney name will be returning to Brussels. FG have performed strongly in the last three European elections. The party's main target on this occasion will be to consolidate and retain what it has, even though it will regard itself as being in with an outside chance of gains in Dublin and Midlands North-West. If Maria Walsh runs, Insider very much looks forward to her battle with Mairéad McGuinness which, while maybe not as bruising as the infamous McGuinness/Avril Doyle battle in 2004, could nevertheless be spicy. SF also had a strong showing in 2014 and again its target will be to retain its seat in each Euro-constituency. With Northern Ireland now losing its MEPs, it is expected Martina Anderson will relocate to Midlands North-West to replace Matt Carty who is returning to domestic politics. It is early days yet but, in the two four-seaters, Insider would expect FF, FG, and SF to take one seat each with the last seat in Midlands North-West probably going to an Independent; whether that be Marian Harkin (who has indicated she may retire ), Luke ‘Ming’ Flanagan, or even Peter Casey [pictured above] is less clearcut. In Dublin, while FG may have designs on a second seat, Insider senses that there is an opening for someone on the ‘soft left’ to take the fourth especially with Nessa Childers retiring; Alex White could give Labour a very timely boost, although the Greens' Ciaran Cuffe is many people’s tip. In Ireland South, the interesting question is whether Brian Crowley runs as an Independent. At this juncture, with FG well positioned to retain two seats and FF and SF each set to take one each, the extra seat in the constituency would appear to be between him and a second FF candidate, plus maybe a Green. The Local Elections (as well as a number of referenda ) will once again be held on the same day as the European contest. Notwithstanding their lower profile it is these results the parties will really be pursuing as they offer a potential building block, and an opportunity to groom putative candidates for the next General Election. We saw how FG used the 2004 contest to regroup after the disaster of the 2002 General Election, while the 2014 contest saw FF regain its position as the leading party in local government, which it then used to build its recovery in the 2016 General Election. Can FG regain its position as the top party in local government or will FF further strengthen? Is there scope for further growth for SF or has it stalled? Will the massive seat numbers won by Independents in 2014 take a hit as polls suggest? Locally, we have an interesting battle in Galway City West with the two men most linked with the FF General Election nomination - Peter Keane [pictured above] and John Connolly - lining up on the same ticket. All in all then, it promises to be an exciting year on the political front, both domestically and across Europe. Insider hopes we come out of it on the other side without too much damage being inflicted by Brexit.